Allowing Micro-USB to be the single external cable link. Ideal for cellphone, PDA manufacturers include various types of battery chargers. Extend your devices with Micro USB interface such as Mobile phone tablet etc. This Micro USB coil cable is used to connect phone;camera; ebook and more with your PC/Laptop by USB port. This USB Type A to Type-C cable used to transfer data and power mobile phones, tablets and laptops. The USB Type C connector is is reversible and can be plugged in any orientation. This USB Type-C cable used to transfer data and power mobile phones, tablets and laptops. The USB Type C connector is is reversible and can be plugged in any orientation. 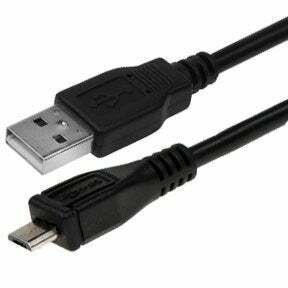 USB A to Micro B USB cables are used to connect PC to mobile devices such as phones, mp3 players, cameras, etc. These cables are also available as coiled cables and OTG to connect a USB device such as a USB flash drive to your mobile device. We have 8" USB 2.0 A Male to Micro B USB Male Cables, 3ft USB 2.0 A Male to Micro B USB Male cables, Micro USB Male to female adapter cables in different lengths, Micro USB Male coil cables, USB 2.0 Type C to micro B Male cables in different lengths, USB 2.0 A Male Micro USB Male cables in different lengths, and other products. All our products are manufactured by ISO 9001-2000 registered manufacturers and are environment friendly. You can also expect good after sales service and lifetime technical support on all our products.